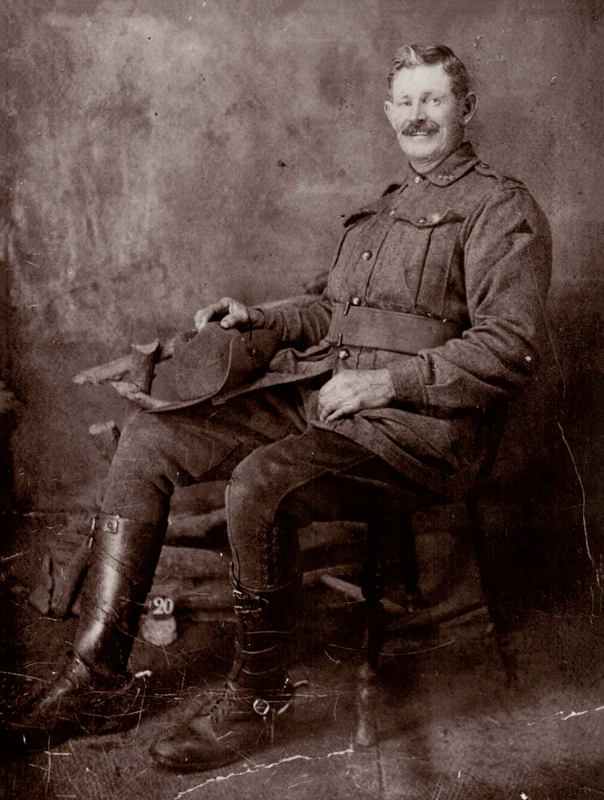 An Australian sapper in the Great War, HP Cornell kept a meticulous record of his wartime experiences in a war diary. Before he’d even reached the front, he witnessed and chronicled the dramatic sinking of the RMS Moldavia. Here, using snippets from this diary and other first-hand accounts, his grandson Larry Cornell revisits this tragic and lesser-known part of World War I naval history. The sinking of the armed troopship RMS Moldavia on 23 May 1918 was a sharp reminder that World War I was not coming to a quick end. This was not welcome news to an American public with strong anti-war and isolationist sentiments, still in evidence less than one year since the nation had joined World War I. Of the 480 American soldiers on board the Moldavia that fateful night in the English Channel, 56 were killed on impact of a German U-boat torpedo. Sapper H Percy (HP) Cornell of the 1st Field Company Engineers, AIF, my paternal grandfather, witnessed firsthand this U-boat attack from the deck of the troopship, HMAT Persic, one of five troopships being escorted across the Atlantic by the Moldavia from Halifax, Nova Scotia, to London. In his war diary he reported in dramatic detail the moments of his ‘life or death’ experience that night. These U-Boat attacks came close to sending HP, his fellow sappers, and his war diary to the bottom of the English Channel for all time. A studio photograph of HP Cornell in uniform, in late 1917. Courtesy Larry Cornell. HP was 41 years of age and aboard the HMAT Persic when it slipped out of Sydney on Thursday 21 March 1917 on its long journey to Tilbury Docks in London and then, for HP, to the battlefields of the Somme. It took two full months at sea before the ship would enter the River Thames on Thursday 23 May 1918. But before that day, HP and the Persic would face in the cover of darkness the haunting reality of German U-boat 57. The Persic steamed on from Sydney via, Wellington, New Zealand, through the newly completed Panama Canal and across the Caribbean; on to brief stopovers in Newport News and New York in the USA, and then arriving at Halifax in Nova Scotia, Canada on 10 May 1918 where the Persic caught up with its sister ship HMAT Runic. Members of the 37th Battalion lining the rails of the HMAT Persic prior to her departure for England. Courtesy AWM, ID PB0837. Just five months earlier in Halifax, the collision of the French munitions ship Mont Blanc and the Norwegian vessel Imo had created the world’s largest man-made explosion, instantly killing more than 1,600 people (1,900 in total), injuring another 9,000, destroying almost the entire north side of the city and shattering windows 50 miles away. The port city bustled then, on 6 December 1917, as it did when HP arrived, with ships carrying troops, supplies and munitions across the Atlantic to the Western Front battlefields. On departing the following day, the devastation created by this massive explosion in Halifax city was clear to HP: “at least nine streets leading to the river and half a mile back are levelled to the ground”. He was happy when the Persic in convoy with four other troopships, including the Runic, “cleared the (Halifax) harbour and got well out during the afternoon.” They were now being escorted across the Atlantic to London by the RMS Moldavia, an armed troopship with six light naval guns and two anti-aircraft guns. Crossing the Atlantic Ocean, the convoy zigzagged continually to disguise its course and minimise the chance of being struck by German submarines that were trying to enforce a blockade against Allied supplies and munitions reaching the Western Front. “Our guard is mounted night and day with loaded rifles as well as the 10 guards on the ordinary posts,” wrote HP.